Pamada North Shore No. 3 Pty Ltd has submitted a DA to build a 20 storey residential development located at 5 Hercules Street, Hamilton. 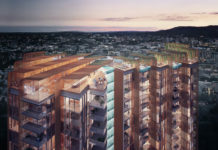 The project comprises of 151 residential apartments, ground level retail tenancy (shop or food premises) and a rooftop recreation deck on level 20. 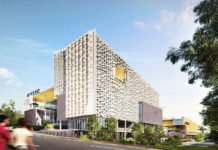 The development features a range of ESD (Environmentally Sustainable Design) initiatives such as a green roof, water collection and storage, 100% renewable power sourcing, car share bays, recycled building materials and energy efficient lighting and appliances. The building also seeks to achieve a 5.5-Star NatHERS rating. According to Sam Marquit from Fair Marquit Value, energy efficient living provides a number of benefits. He says in a recent survey conducted by Strata Research of over 1000 consumers, 62% reported that environmental friendliness was a key factor in deciding where to live. Many residents are looking for extra sustainable features on the grounds of their apartment. Many communities are installing Zen gardens, bike paths, and community garden plots. Even apartments equipped with plug-in stations for electric cars are a growing trend. With young professionals one of the key targets for eco friendly apartments it is important to have a number of amenities near by. One company is focusing a lot of attention on the concept of 20 minute living, which aims to have anything an apartment resident could possibly need, including workplace within 20 minutes of their home. As a result, it promotes more people to walk or bike to the grocery store, further reducing carbon emissions. 5 Hercules Street is the latest project in the Hamilton Urban Development area which still comes under the ULDA Priority Development Area application system. Happy to see environmentally aware developments. Shame to see such a minimalist and lifeless apartment building at this scale to be approved. 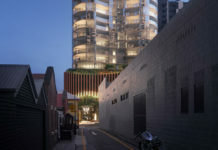 No innovative or articulated effort to activate the facade or street scape – these projects act as catalysts and precedents for future projects. 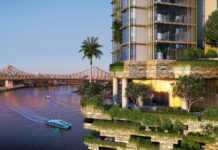 The standards for design quality and contribution to the urban fabric of Brisbane needs to be lifted. I don’t mean to be negative – but projects at this scale need to be more expressive and responsive to its context. The simple expression of horizontal elements on the building is dated and is possibly the most budget response to residential towers. This looks too basic. A better design- need wow factor on outside. Exterior of building will give impression of a BACKPACKER dwelling next door to Wentworth ICON proposal. Dwellers or investors to this much sort after area.